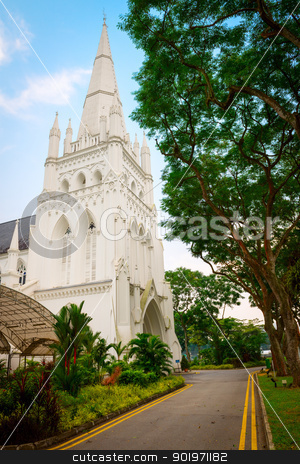 Photo of Andrew's Cathedral in Singapore. Andrew's Cathedral in Singapore. St. Andrew's Cathedral is an Anglican cathedral in Singapore, the country's largest cathedral.